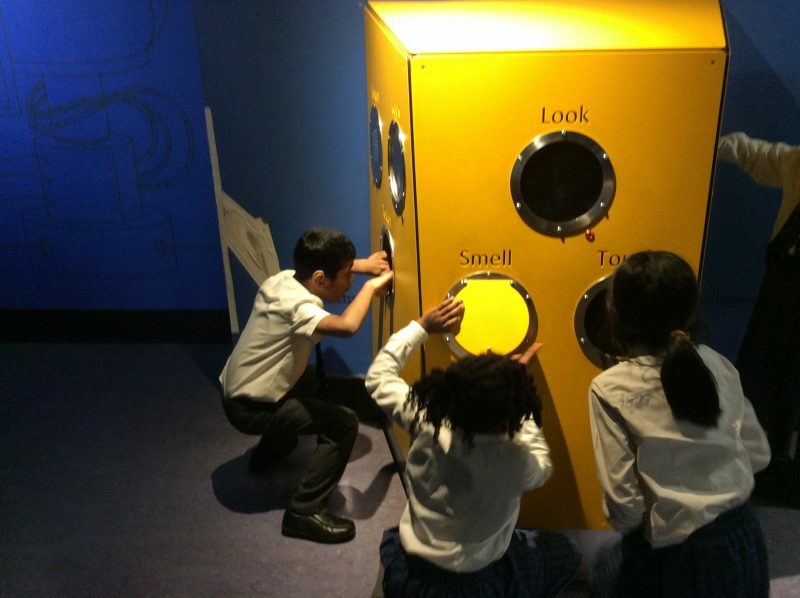 On Friday 1st February, Year 3 pupils set off on a trip to the Museum of Science and Industry. The pupils were keen to begin their exciting scientific experiments, and quickly split into two groups to complete the puzzles and experiments. 3EP tackled the tricky problems first. They drew pictures with light, created different sounds on the DJ deck and used their senses to solve problems. 3KP set off on an electricity trail, trying to crack an electricity code. After spending the morning being scientists, they attended two workshops, Forces in Flight and the Wonder of Light, where, while using nerf guns with a light attached they learnt about how light travels. Then, with Miss Pearson jumping from an aeroplane, Forces in Flight taught the pupils all about friction and forces. It was an extremely scientific day which was enjoyed by all!